In 2006, cyclist Floyd Landis won the Tour de France. His title was soon stripped due to swirling rumors, failed drug tests and facts. Floyd adamantly defended himself. For years he spoke of his innocence to any hot microphone within 75 yards. He spent $2 million clams (some of which was donated by supportive fans) in courts maintaining he was clean. 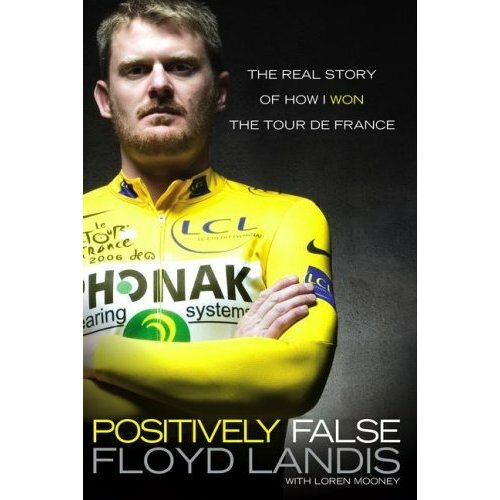 He even put out a book entitled Positively False: The Real Story of How I Won the Tour de France. There was no way he was guilty of using performance enhancing drugs, he wrote a book saying he didn't. Case closed. But hang on. Last week Floyd finally came clean and admitted he was a cheater and a doper. Thus negating his best-selling tome. The dude is quite the liar. Reminds me of Pete Rose. It's all that denial that really pissed people off. Plus he's throwing everyone else under the bus too. Remind me not to go bike riding with this putz. said E on May 22, 2010 2:22 PM. E, don't go bike riding with this putz. said Johnny Wright on May 22, 2010 2:25 PM. I liked Bill Clinton's book "Joy of smoking Cigars!" said Baierman on May 22, 2010 5:58 PM.